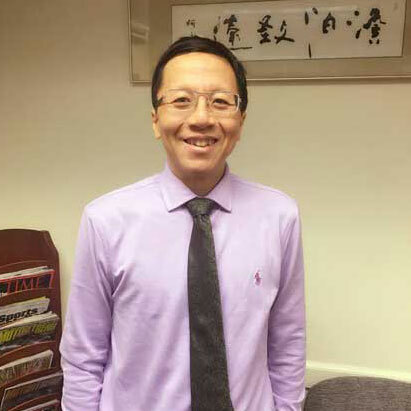 Dr. Danny Lo is currently a full time Clinical Assistant Professor with Departments of Oral Medicine, Linhart Center for Continue Dental Education and Clinical Affairs for NYU College of Dentistry. Dr. 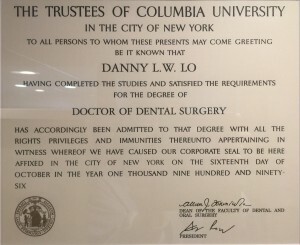 Lo graduated from Columbia University School of Dental Medicine in 1996 and completed hospital residency training as Chief resident from Columbia Presbyterian Medical Center. Dr. Lo has extensive knowledge with various clinical aspects such as Cosmetics, CAD/CAM digital treatment, dental lasers, Botox and Dermal fillers, etc.